Our client was battling depression and loneliness. As she stayed at home, alone, cooking, she decided to have a glass of wine. Then another. Then another. And an Ambien. Then she went driving, for reasons she really could not explain. She was 53 and with no criminal record. 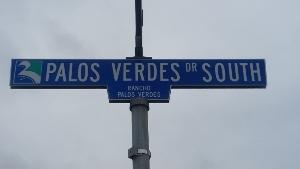 Synopsis: Rancho Palos Verdes, no file for client facing felony DUI for driving under influence of Ambien and wine, crashing into two cars and causing six injuries. She drove a few miles from her house in Rancho Palos Verdes toward Trump Golf Course before passing out and veering left across and over the center divider, sideswiping one car and running head-on into another. The collisions occurred on Palos Verdes Drive South after sunset. Six people were injured, not including our client. One car flipped over. Our client’s car went down an embankment. The airbags inflated, but our client remained unconscious. Due to the severity of the events, police understandably worked on the most severely injured first. Our client was not one of these people. She did not remember anything. More than three hours after the collision, our client’s blood was taken. Prior to this time, due to her injuries, no effort was made to elicit a breath sample. Our client’s BAC, taken more than three hours later, measured 0.06%. On the Sunday afternoon after the Friday collision, after our client was released from the hospital, Greg Hill visited the client at the Lynwood Women’s facility, where our client was extremely confused and anxious. She had never been to jail and was quite uncomfortable being around folks accused of crimes, although she herself was also one. In our office’s experience, reverse extrapolation of one’s BAC to the time of the last driving is a common argument DA’s, especially young DA’s, make in negotiating. However, a senior DA is in charge of filing decisions and usually, such a DA appreciates the vulnerability such a calculation faces. There are dozens of assumptions the expert must make in doing so, assumptions that undermine the reliability of the calculation. Our office therefore wrote the Torrance District Attorney’s office a lengthy letter, explaining how reverse extrapolation has been criticized by many courts and DUI experts, even experts that the prosecution regularly uses. We also pointed out that since reverse extrapolation must assume the client is not alcoholic, not diabetic, had a certain amount of food in her stomach at the time of last driving and how fast the alcohol was consumed, the act of reverse extrapolating is fraught with error and our office would most certainly take the matter to trial to defend our client. Greg included his letter the fact that Kurt M, Dubowski, the most well known prosecution expert witness nationwide on drunk driving cases, even refuses to engage in retrograde analysis. He will not do so because, as he says, it has never been scientifically accepted as a trustworthy and reliable method in any state. We then cited to Raul Mata v. State of Texas (1994, Fourth Court of Appeals) No. 133-00, footnote 79 (retrograde extrapolation should not be relied upon in a criminal case). Our letter also pointed out that the blood sample was not taken until more than three hours had passed since our client last drove, which meant the presumption that our client drove with the BAC measured did not apply. Perhaps in response to our letter (and, candidly, perhaps not), the District Attorney called up our office and personally spoke with Greg Hill to let him know no case would be filed. Is Being Unconscious While DUI a Defense to Second Degree Murder Charge?